Need some tuition to help you hit the ground running with Xero? Perhaps you’re looking for help with a specific Xero problem? Or maybe you want to take your Xero skills to the next level? Whatever your Xero training needs, we can help. As Xero Gold Partners and specialist trainers to the accountancy and bookkeeping industry, we have developed a successful training approach that works for all learner types, in a learning environment that’s friendly and accessible. 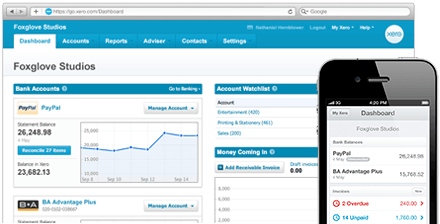 Contact us today for a free, no obligation appointment about Xero accounting for your business. We can help you get your business set up & charging with Xero. We are Xero Gold Partners which means we have the experience and extreme love of Xero to get your financial data over to Xero, bank feeds going, chart of accounts looking good and an accounting system ready to allow you to see the relevant numbers in real time. Need some training to allow you to flourish with Xero? We can assist with specific Xero questions or problems, training staff, utilising the endless Xero add-ons. Whatever your Xero training questions or needs – we can help! Our specialist training have experience in accounting & bookkeeping so you are getting trained by the experts!